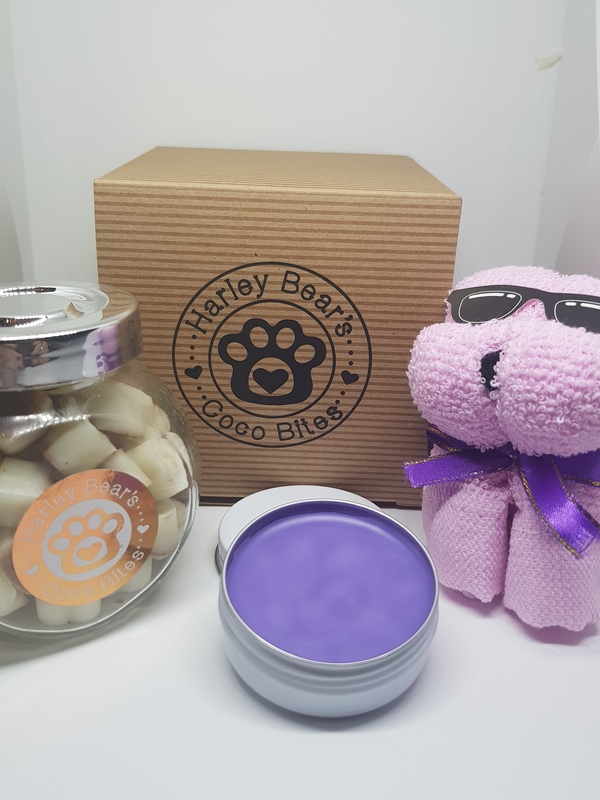 Harley Bear's Little Box of Calm contains a jar of 55 calming hearts, a tube of Peaceful Paws balm and a paw towel*. We are fast approaching the dreaded fireworks season which can be a very stressful time for pups. If you know when the noise is going to start, give a couple of calming hearts half an hour before. If not, give them as soon as it starts. 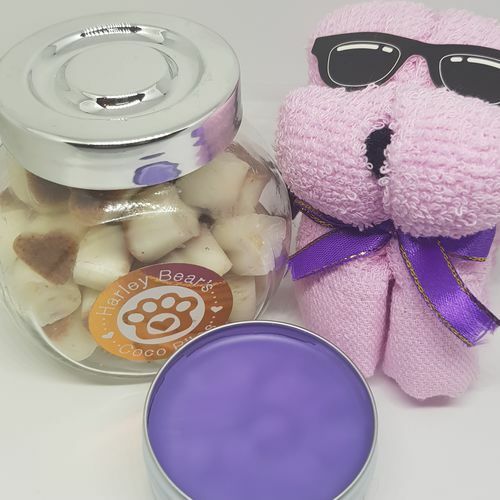 Peaceful Paws balm can be used on its own or with the Calming Hearts. 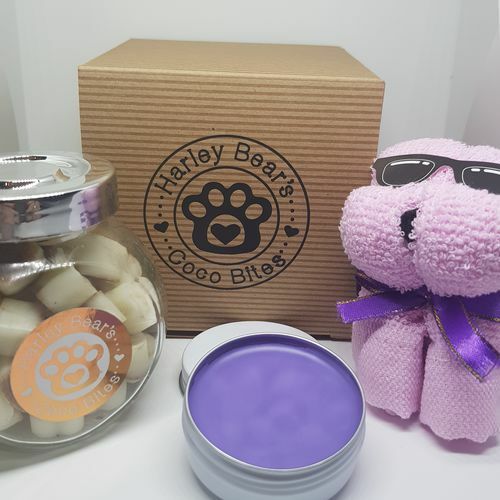 Swipe the balm over your pup's pads and gently massage in. Can be used on all four paws or just on one. 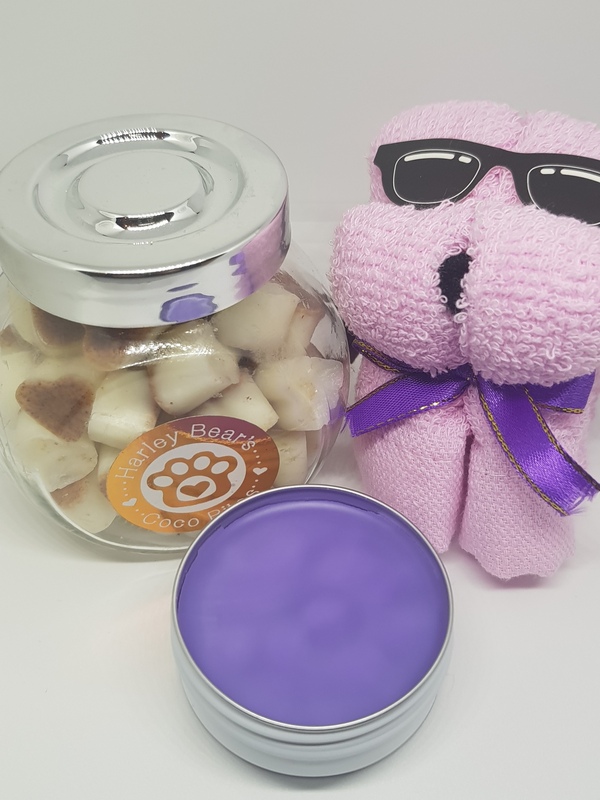 The paw towel can be used to make sure paws are clean and dry before massaging in the balm or to wipe fingers after the massage. *Colour of towel may vary.